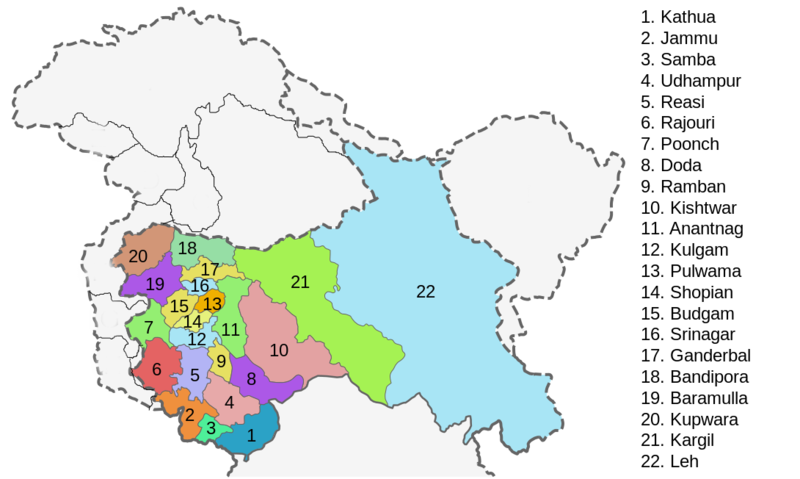 Jammu and Kashmir is a state in northern India, often denoted by its acronym, J&K. It is located mostly in the Himalayan Mountains, and shares its borders with Himachal Pradesh and Punjab, and the neighbouring countries of Pakistan, China and Afghanistan. The natural beauty and picturesque locations have made it a favoured destination for tourists across the world. The Kashmir valley is famous for its beautiful mountainous landscape, and Jammu's numerous shrines attract tens of thousands of Hindu pilgrims every year, while Ladakh is renowned for its remote mountain beauty and Buddhist culture.